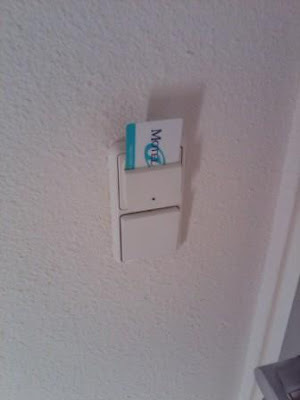 At Motel One, this was not the case at the Park Hotel, you have to put your room key in a activator inside the room to get the power to come on for everything. So when you leave the room, everything turns off....good idea.....unless you are trying to charge something while you are gone. 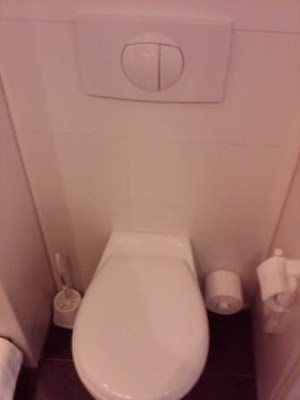 And, last but not least, I just learned today what the different buttons are for above the toilet, one is for water, and one is for more water....I guess it is at the users discretion to determine what they need.